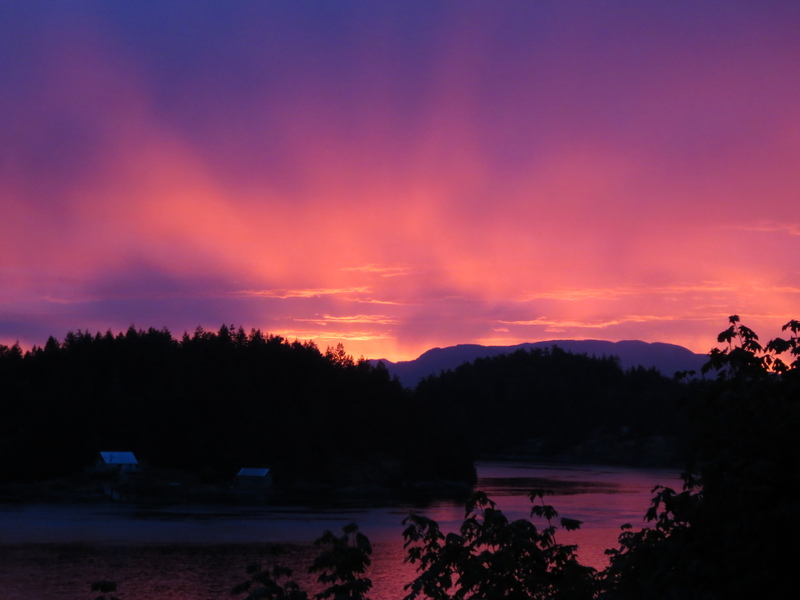 Rain giving way to the setting sun, Quadra Island. Cool days, finally some sun after a damp start to the autumn. Looking back it’s been a good summer of exploring in our backyard. Travel abroad is great but there’s a lot to be said for staying local. It’s cheaper for one. Usually there’s less preparation. Hopefully less stress. And in this region there’s some excellent mountain biking nearby – it’s been fun discovering new areas to ride. 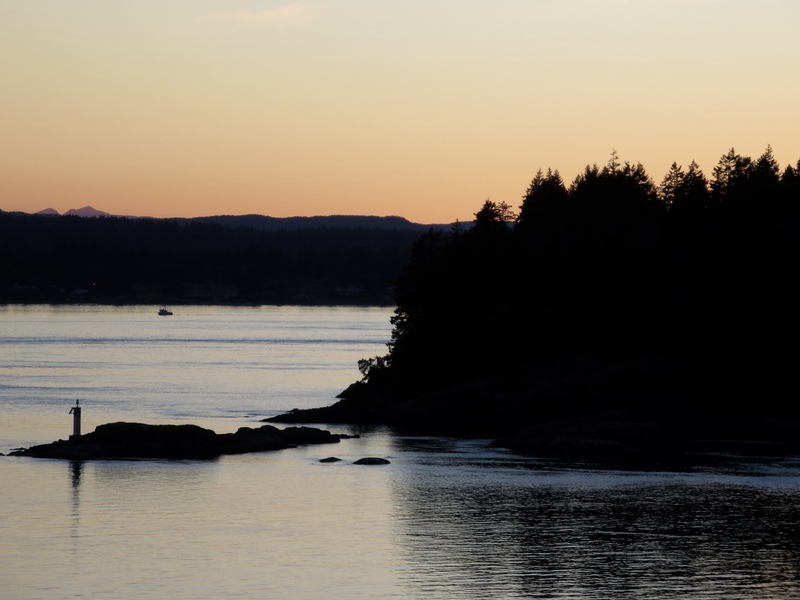 We unexpectedly returned to Quadra Island for three days in early July – courtesy of good friends living part-time on the island in a lovely rustic cabin. We explored mountain bike routes so stealth that if we hadn’t our friend as guide we never would have found them. We rode both unsanctioned trails (meaning not necessarily maintained) but also official trails, like the excellent Little Black Dress. I could count the number of other riders we met on one hand. 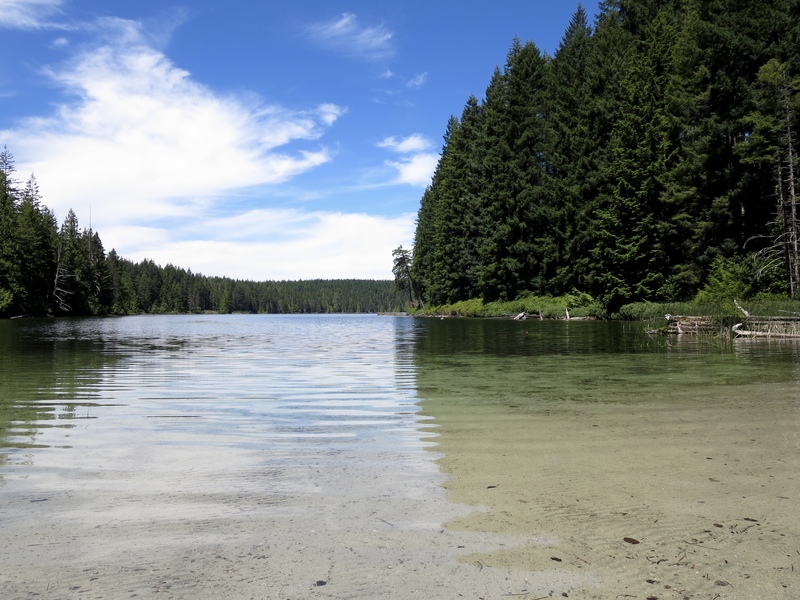 Quiet woods, gorgeous lakes – my first swim of the year in Morte Lake was sublime. It was stellar weather, long before any hint of wildfire smoke destined to hit the region later in the summer, although hot enough that we had to rest in the shade of a tree after toiling up a steep rock and root strewn route that levelled out to a quiet, relatively smooth plateau of loamy, compliant trails. A primo locale, for sure. That’s my kind of place. Sounds idyllic. I feel as if all that smoke stole our summer! I know, it took a good chunk out of our summer later on didn’t it?! Beautiful photos…I will be adding to my list of dream trails! Thanks Lacey! I highly recommend the riding there, challenging at times as it was. 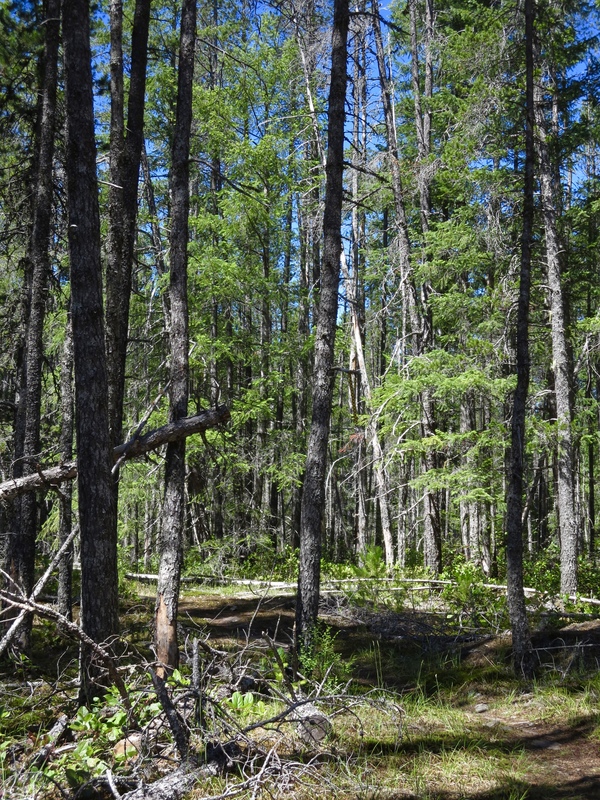 I found the Cumberland and Powell River areas I wrote about (part two and three of the series) to have a ton of variety in terms of trails so you could really challenge yourself or ride more easy going cross country routes. Cumberland is a bit of a mecca for mountain biking these days I gotta say. Hope you get to try the trails sometime!